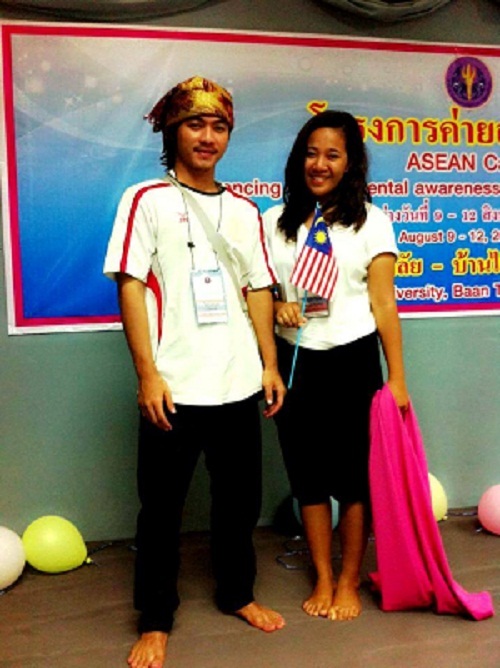 Congratulations to the two STIC students who were selected to participate in the ASEAN CAMP Program. The Office of High Education Commission (OHEC) recently announced that the ASEAN CAMP program to be launched from August 9 -12, 2013 at Baan Thai Resort in Suphanburi province. Meanwhile, the OHEC also announced their selection of Mr. Aeyaya Chortoh and Ms. Rodelyn Sacaresas the STIC student representatives to take part in the program.The OHEC asked for cooperation from many educational institutions to help select students to act as institution representatives in the program. The Opening Ceremony was held was held on August 9, at Chulalongkorn University and was presided over by Mrs. VarapornSeehanath, Deputy secretary –General , Office of the OHEC. After the Opening Ceremony, there swas a special lecture on “Student Mobility in the ASEAN Community : Opportunities and Challenges” presented by Mr. PhanpopPlangprayoon, of Department of Asean Affairs, Ministry of Foreign Affairs , and also a special lecture on “AUN : ASEAN University Network “ presented by Assoc. Prof. Dr. NantanaGajaseni, Executive Director of the AUN Secretariat and many other activities programs.